ASOS Autumn/Winter 2016 Wishlist. | By Millie. Boux Avenue Spot Pyjama Set: I couldn't go an Autumn/Winter wish list without mentioning an amazing pyjama set! I love this polka dot shirt style set, the navy and white is such a classic combo and I adore this style of pyjama, especially when it gets cooler in the evenings! Boohoo Floral Plunge A Line Smock Dress: I'm a huge tights wearer when the weather gets cold so I love to pick up skirts and dresses which have a lovely pattern to them. This Boohoo dress is only £18 and I love the colours, so Autumnal and the neck detail is also really unique. This with some black boots and a leather jacket I can see this looking amazing. 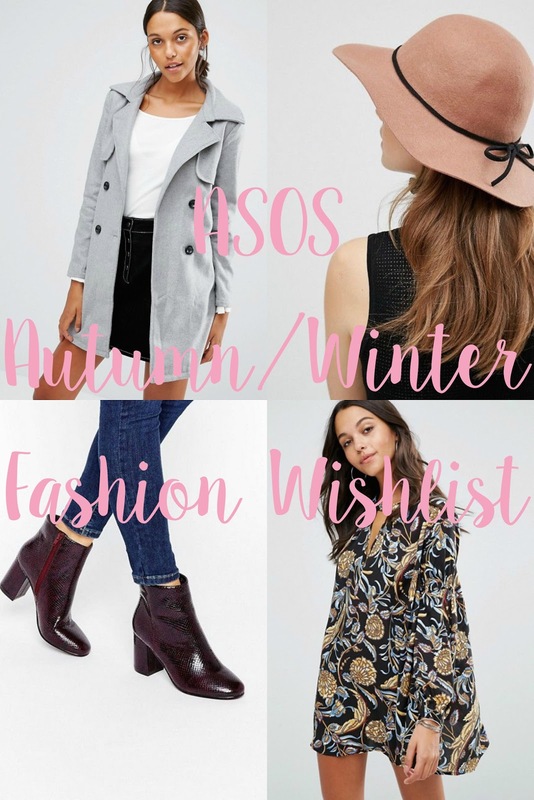 ASOS Rosaline Heeled Ankle Boots: I adore ankle boots, if I could wear them all year round I totally would, there's always a million pairs on my wish list! These are slightly different for me as they are a gorgeous burgundy snake print heeled boot and so stunning. 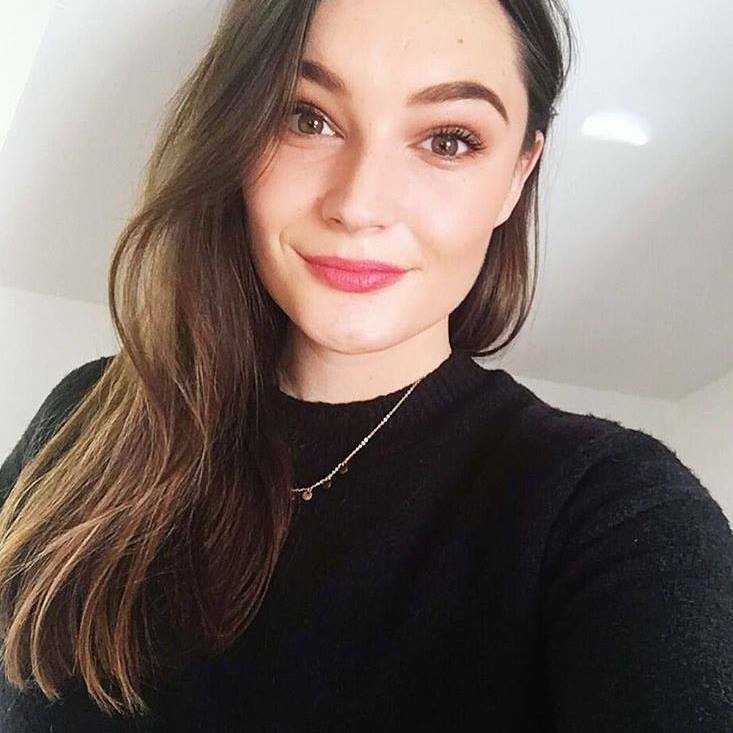 Missguided Textured Blush Coat: Blush is a colour I have been seeing here there and everywhere, it's such a pretty shade and one I definitely wanted to incorporate into my wardrobe. This Missguided coat embodies the trend perfectly, it's very simple, has lovely large lapels, and I think this would be perfect to jazz up any outfit. Boardmans Knitted Beanie Hat: I've never even heard of Boardmans before, but I clearly can't get enough of their hat selection! This beanie is a bit more practical and warm, I fell in love with the huge pompom on the top! ASOS Afira Ankle Boots: Black ankle boots...I can't resist...these ones are suede, not hugely practical for the wet and cold conditions, however I don't own any in a suede material! You really can't go wrong with a pair of boots like this, they are so simple to style and keep your feet warm! Little Mistress Cross Front Pencil Dress: I'm loving all the party dresses filtering into ASOS at the moment, it's really getting me excited for party season! I love love love this one, classic LBD with a twist, what's not to love?! Y.A.S Mulla Chunky Rollneck Jumper: I'll about that neck action this season, turtle neck, roll neck, I love them all! This grey knit is so perfect and looks super cosy! Levi's Denim Western Shirt Dress: Denim dresses are something I wasn't sure I loved, but actually after seeing them a bit more, they are such an easy thing to trow on and they look fab with ankle boots, or trainers. Love & Other Things Belted Mac Coat: A nice grey coat is something I really want to add to my collection this year. I wanted one a bit more tailored and I adore this one from Love & Other Things. The black buttons look so chic and I love the overall style. They have this in a couple of other colours, but I'm all over the grey. Love & Lies High Neck Stripe Top: I recently picked up a Topshop denim skirt and I can see this top pairing with that seamlessly. I love stripes and high necks, so obviously I couldn't pass this up. ASOS Coat with Waterfall Font: Along with a grey coat, I'm also kind of lusting over a camel one too, what can I say, I love a good coat. This waterfall option from ASOS is so so nice and the belt is a great addition to synch you in at the waist. Missguided Over The Knee Boots: I really really want a pair of these but I know they just wouldn't get the wear time...I love how their styled here with the skirt and I want to play around with a pair so much. These are a cheaper pair I've found in comparison to some others, so maybe I'll make the purchase as I do adore the design.